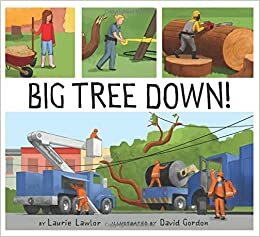 Pros: A perfect read for Arbor Day or Earth Day, celebrating community trees. Fans of construction vehicles and other trucks will enjoy the illustrations of police cars, cherry pickers, dump trucks, and more. Cons: Some tree-related back matter would have added to the educational value.